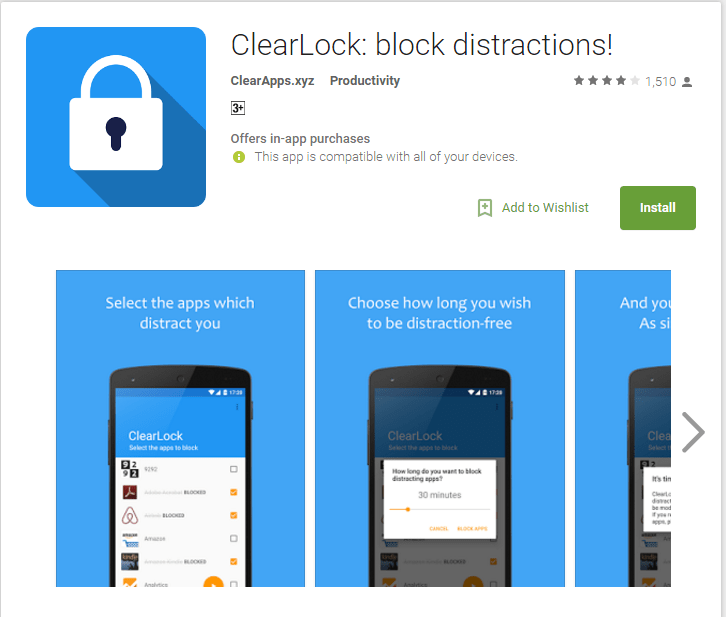 Through this trick you will learn how to block particular apps fro a limited time in android. On your android device you may know that their are many apps which automatically running in your android background. We will show you a awesome way to get rid out from this problem. Search ClearLock: block distractions on search bar. Now launch the app on your Android device. After that you will see the list of the apps that are currently installed on your Android device. After that you need to select the apps that you want to block for a special time in your device. Now it’s time to set the time period for how long do you want to block your distracting apps. After that the app will ask you to confirm your app block. Now you need to confirm or simply click on I’m Sure. After that the selected apps will be blocked and you won’t be able to use your blocked apps until the time has ended. Now don’t worry about how much time left to unblock or unlock your apps cause you will see a screen which will let you know how much time is left to unlock your apps. That’s it. Now in your busy time, your Android won’t distract you from your work. Hope you like it. Stay with us to get more.